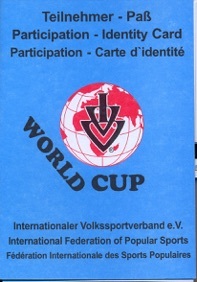 Conditions: The WORLD CUP awards are given to Volkssporters who, from January 1, 2000, have participated in at least 2 IVV events in 3 different continents (6 stamps from 6 different countries) as well as 2 IVV Olympiads. All kinds of Volkssport events are eligible. 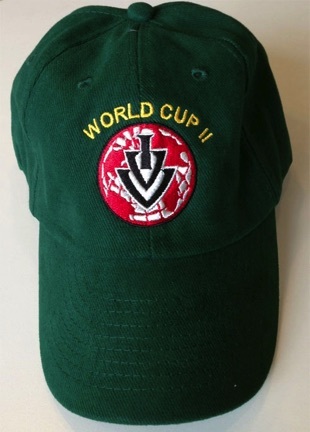 Award: WORLD CUP patch, cap with WORLD CUP emblem, certificate. Countries with National and Direct Member clubs, or where travel / tour companies organize IVV-sponsored walking events from time to time. IVV events in Turkey are organized in both the European and Asian parts of the country. The IVV World Cup program is very successful. It requires two IVV events each on three different continents and two IVV-Olympiads. There are walkers who have done the program twice, or even a third time. 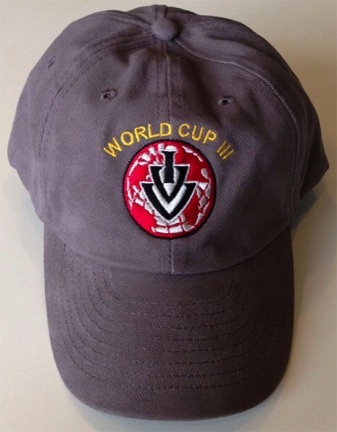 As tribute and new award for the program, there are new caps, labelled “World Cup II” or “World Cup III”, as you can see in the picture. We wish you continued enjoyable and successful walks.